Apply for Florida Firefighter jobs, EMT jobs, EMS jobs and Paramedic jobs all in one place. Take one test and apply for all fire job listings. Take one test for all departments. All testing will take place at NTN Testing Center at St. Petersburg, Florida. There are always fire departments hiring on NTN. Each fire department job has a complete description of benefits, deadlines and minimum requirements. Fill out the firefighter job application at home, update your work history at any time. Schedule a test time at your convenience. If a department you apply to requires a CPAT, you can schedule one at NTN. You can take a CPAT on the same day as your standard test. All testing takes place at the NTN Testing Center in St. Petersburg, Florida. 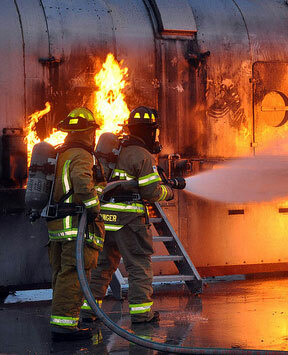 Jumpstart your firefighter career, apply now! Location: pTEC (901-34th Street South-St. Petersburg) CPAT Course (Warehouse). You must sign a liability and injury waiver prior to participating in the program.